We are no team-riders, professionals or in any other way linked to any brand. So we hope to be as independent as possible in our judgements. As you might have noticed we are not afraid to point out positive sides of products, but also write about negative aspects that can (or should) be improved. After all in some cases big brands put their money in marketing and not so much in research and design. It is actually one of the reasons that made us come up with this blog. Because of all the marketing terms and branding some people don’t see the wood for the trees any more. There is only one way to know what you really like in a kite or in a board and that is by testing it on the water. Reading a kite magazine can help you in your choice for new material but then again a lot of this magazines only exist because of their advertisers and guess who wants to advertise in a kite magazine? Right! The big kitesurfing brands. This makes editors of magazines think twice before they tell you something isn’t as good as possibly told by a brand. However their are some very good kite magazine with very detailed reviews but not in all countries. Our team is just a group of enthusiastic, average kiters with intermediate to advanced levels. 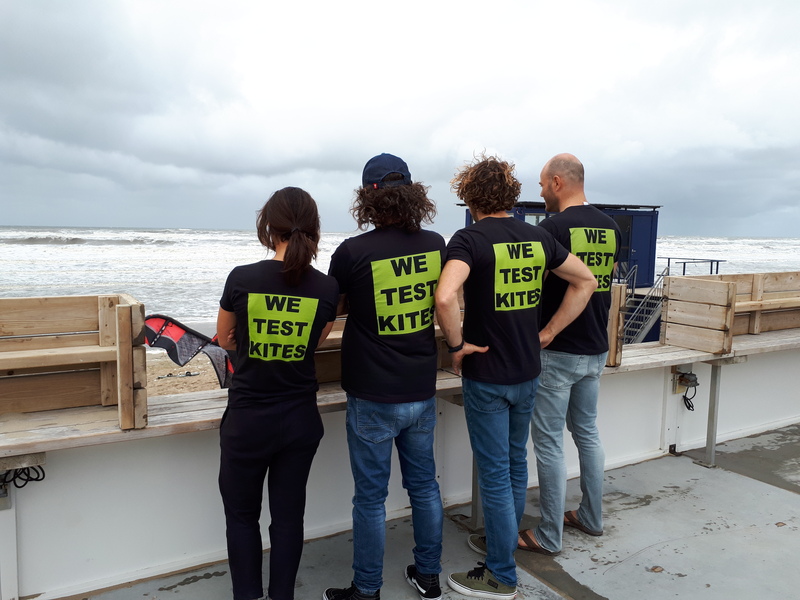 So we are no pro’s trying all the newest freestyle tricks, but also not afraid to kite with 5 or 6 meters in 40 knots of wind in swell up to 5 meter. Experienced from 4 – 14 years of kiting (per person) with weights from 50 kg up to 95. We all live in a coastal town and because of that we can get on the water quite often. We hope to deliver what we promise. All the feedback and off course the option to let us test (the latest) material is more than welcome. Hang loose, We Test Kites!